Pioneers in the industry, we offer energy saving middle pressure centrifugal fan from India. CZ series adopt the centrifugal structure. 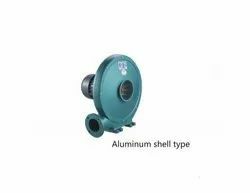 Classified by outer casing and impeller, the series can be divided into two types, Cz aluminium alloy type and CZ-T rolling plate stamping type. Featured by light weight, new pattern, large air flow and low noise, this series are used in some industrial devices to blow air, equipment, pneumatic compression facilities, industrial boilers, plastics machinery.